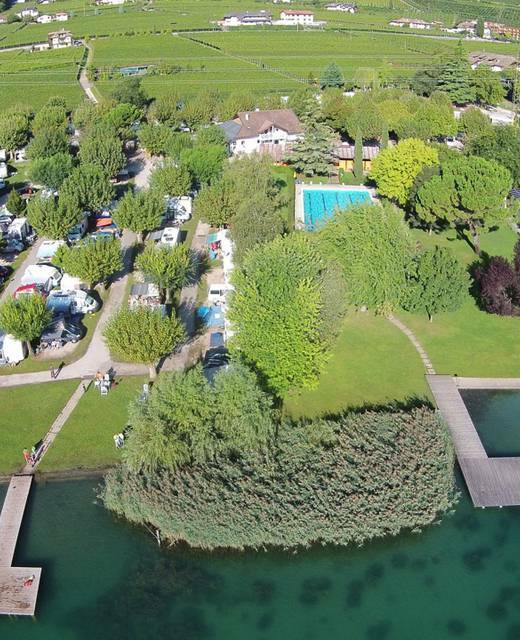 Our campsite is located right at the shore of lake Caldaro, amidst orchards and vineyards. 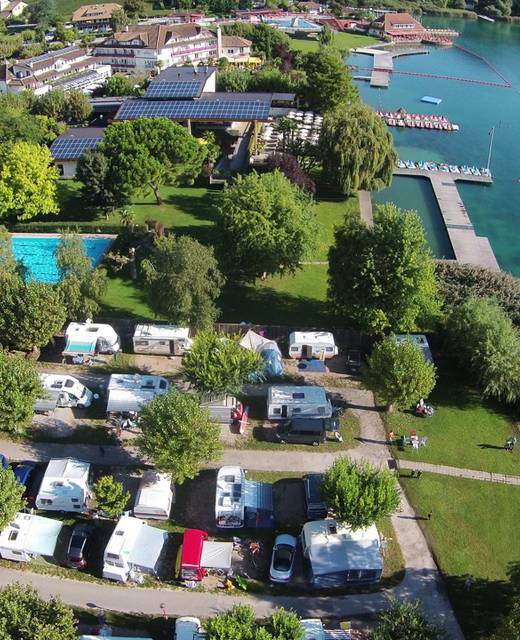 The sites unique location makes it a perfect starting point for cycling trips and hikes, both up the mountains or through the vineyards. 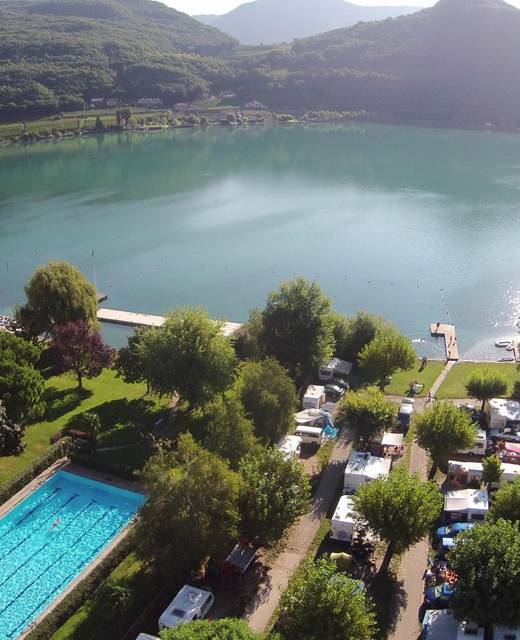 Of course it is also possible to go swimming, as in addition to our own lawn right at the lake, our guests also have acces to a heatable swimming pool. Furthermore there is a small grocery store and various restaurants in close proximity.